I began using Back on Track products on myself and since they work so well I started using them on my horses. They’re an indispensable part of both my and my horses daily regimen. We won’t work or compete without them! We don’t go anywhere without our Back on Track quick wraps and mesh sheets. 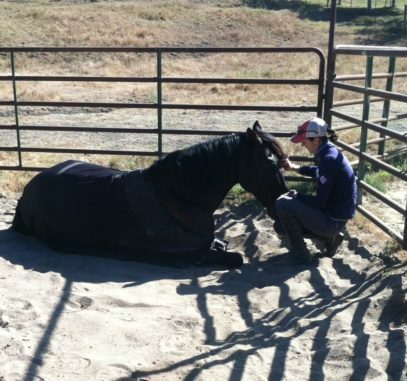 Our horses get out of the trailer ready and willing to work. 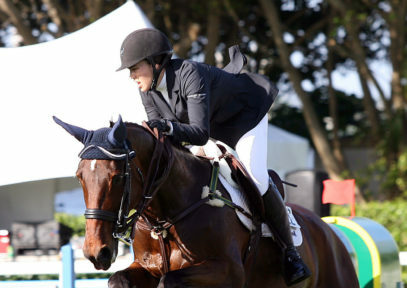 "Back on Track products keep my horses and myself pain free and performing at our best. 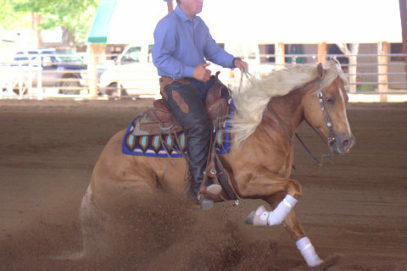 Whether hauling or stalled my horses come out with tight, fresh legs and supple muscles. The human products allow me to travel countless miles without getting sore and stiff. I truly believe they are the best therapeutic tool on the market today. Durable and user friendly it is the best investment in your and your horse's health that you can make! 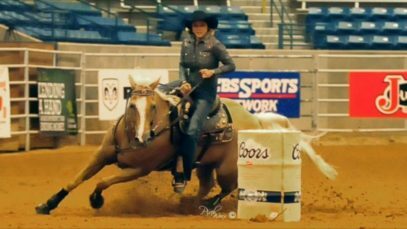 - Kelly Tovar, PRCA Rodeo Champion, NBHA Texas State Champion , CPRA Finalist"
"I started using the Back on Track no bows and quick wraps after winning some at our NRHA reining shows. Since then I have bought them for use in our training barn. 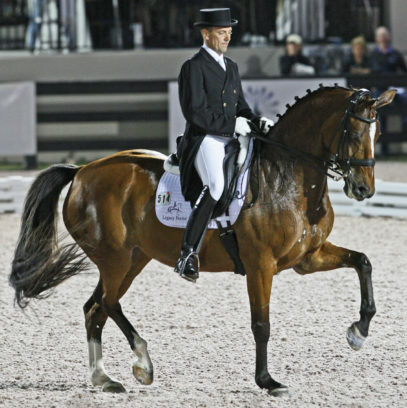 Many of our clients have older horses, who can show the stress of our sport’s spins, rollbacks and sliding stops in their legs, shoulders and backs. The Back on Track products have proven themselves to us all." "I truly believe in Back on Track therapy wraps. My horse Ducky has bubbles of fluid that fills up on her back legs, after I take the BOT No Bow Quick Wraps off they are completely gone. 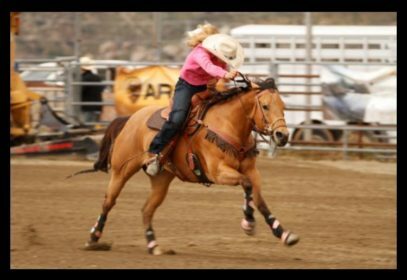 All my horse’s legs are tight and looking good after they come off and when they get out of the trailer. All the swelling goes away and gets the blood circulating I also have problems with my knee from Goat Tying, and I use their knee brace. I have never felt a better knee brace then theirs. I have tried multiple brands and there is nothing better than Back on Track. 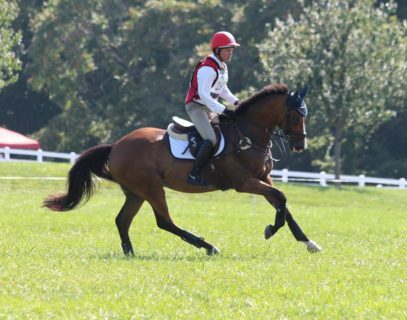 I have seen a big difference in my knee and my Horses I am very grateful for BOT. 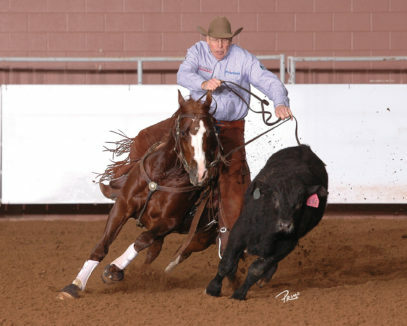 Soundness is our top priority and Back on Track products help tremendously to significantly reduce inflammation in all of our cutting horses, reardless of their age. Everything is very easy to use, saves us time, is very durable and never causes irritation. We love the results we get and highly recommend these products. Started using on myself and noticed big results. So that made me want to use it on my good horses. 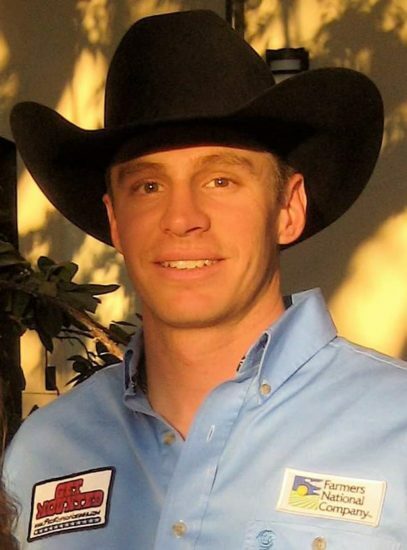 I know it works on my horses because I use the human products and feel the great results! 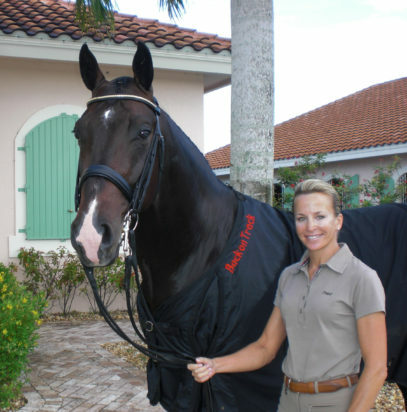 "This therapeutic saddle pad works great! From the very start of my ride, I feel that my horses’ back is very relaxed and more supple with the Back on Track saddle pad. I have also noticed that we are able to go longer in between veterinarian treatments on horses with some known back problems. 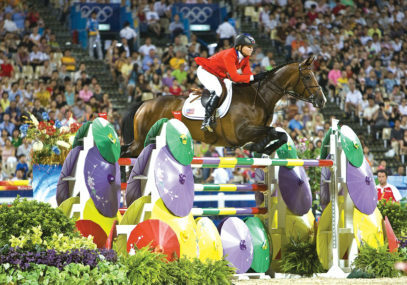 The horses comfort and soundness is number one for me, that is why Back on Track is the way for my horses and myself. It works!" "Everything has been excellent, by using the Back on Track leg wraps. We do a better job of the horse’s legs and we’ve stopped using poultice so it cuts down on the problem of drying out the legs and skin irritation.When using the Back on Track blankets, we’ve noticed a great difference in the horses’ backs. We can go longer between the chiropractic treatments. This is a wonderful product that keeps our horses in great shape." 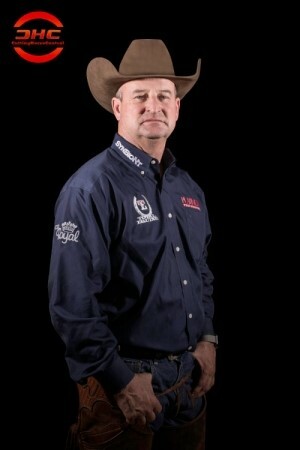 "I like Back on Track products because anything that’s good for my horses is good for me. Back on Track leg wraps and back pads have proven themselves to me. We have been using them for a couple of years and I can say without reservation that my staff and I have seen a dramatic difference in our horses’ legs. We have used them on horses with chronic problems as well as on horses returning to work and I must say that we have had positive results on 100% of the horses." 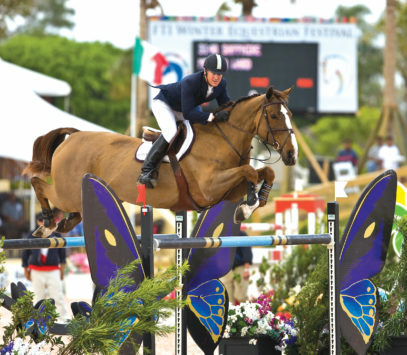 "Regardless of the horse, our Back on Track products make their life better. 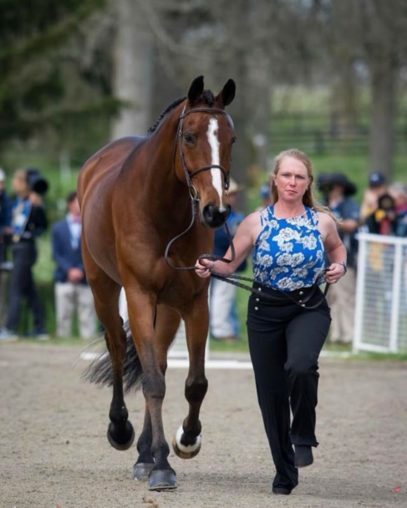 We have horses ranging in ages and abilities, from young Thoroughbreds right off the track to actively competing event horses to retired four-star veterans, and every horse benefits from their Back on Track products. Whether you're looking to help heal an injury or simply want your horse to feel their best, we can't recommend Back on Track enough!" I was introduced to Back On Track many years ago when as competitors at Jersey Fresh International Three Day Event we were given a pair of the No Bows as partof our "welcome" package. Since then I've been an avid user of all BOT products. 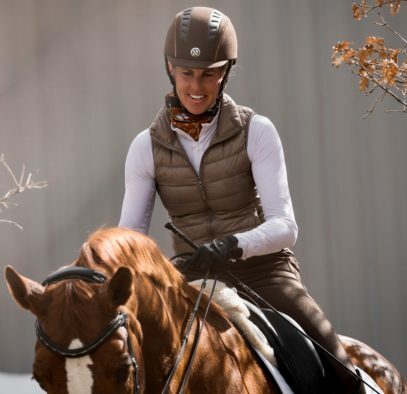 Being an advocate of the OTTBs who come to me having already had a previous (and very tough) career, staying on top of my horses' soundness and health is vital in keeping them at peak performance. Preventative care is the primary reason why I use Back On Track because I truly believe it stops any problem before it arises. I did a Rim to Rim to Rim run across the Grand Canyon last week, running from South rim to North Rim back again to the South rim. Over two days, we ran the 49 miles and over 20,000 ft. elevation change. We trained for this adventure pretty extensively, but nonetheless, your Back on Track socks were a huge part of my recovery for my battered feet! Also in the week leading up to the run, I wore the women's boxer shorts to keep my hip flexors and glutes in happy shape. “After using Back On Track products on Tennyson from Training Level through Grand Prix, I've added them in for myself and my family as injuries arise. 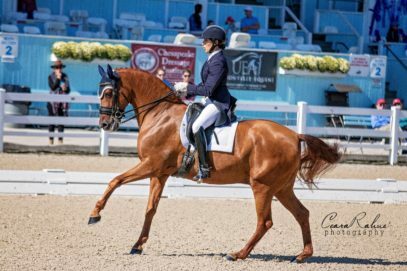 I consider Back On Track integral to Tennyson's continued soundness in our 4th year training and competing Grand Prix and an absolute must in the tool box during any rehabbing of horse and human alike. Thank you for your great products and athlete support."